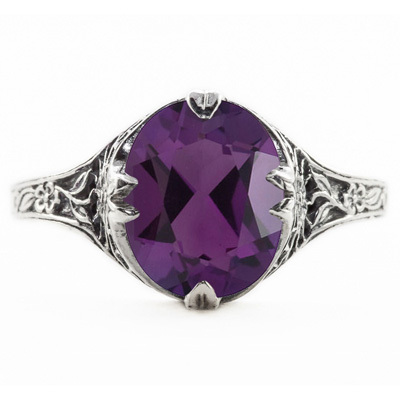 The amethyst is said to keep the wearer clear headed and quick witted. Throughout history, the amethyst gemstone has been associated with many myths, legends, religions and a number of cultures. The expert jewelers of Apples of Gold know the magical value and have hand selected this gem and created a design that will be treasured for all time. 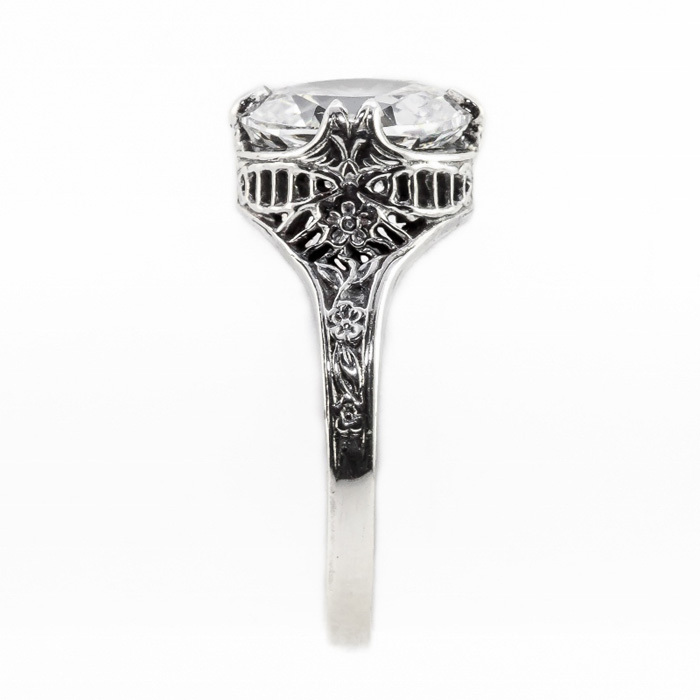 The Edwardian style ring is made of polished 14K white gold. The floral inspired ring measures 10mm x 8mm and is available to ship today. You can own this amazing piece of jewelry by ordering today. We guarantee our Edwardian Style Floral Design Oval Amethyst Ring in 14K White Gold to be high quality, authentic jewelry, as described above.